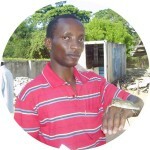 James Karuga is a freelance business and science journalist from Nairobi, Kenya. He has written for Reuters, Business Daily Africa, Spore Magazine, How We Made It in Africa, Think Africa Press, and the UN's Making It magazine, among others. You could say innovation is in Bernard Kiwia’s blood. His father is a mechanic, and his mother is a tailor. Throughout his childhood, both of them built and designed new things from old materials. From a young age, Kiwia was fascinated by the process of creating something. Rather than buying machines, he developed his own. He’s most famous for his bicycle- and motorcycle-powered phone chargers that have now been commercialized in Tanzania. In 2011, he co-founded Accelerating Innovation and Social Entrepreneurship (AISE), an innovation center in Arusha, Tanzania. The center is behind some of the country’s quirkiest inventions, such as a bicycle-powered juice blender, and other more mainstream products, like their solar water heater and drip irrigation kit. Kiwia was inspired to start the center by the MIT D-Lab, a U.S. university-based design center. Formerly an electrician and bicycle mechanics instructor with Global Cycle Solutions, Kiwia now serves as AISE’s technology director and supports rural innovators like himself. He’s confident that Tanzania’s youth have powerful ideas, regardless of their education level. He knows they’re capable of solving grassroots problems. Kiwia shares his insights with AkilahNet on why he started AISE, how young people can get involved, and the lessons he has learned along the way. What prompted you to found AISE, and what gaps did you think it fills in Tanzania’s innovation scene? I started AISE after observing that people in my country with low education levels felt limited. They couldn’t be go-getters, and they lacked opportunities. Young people with little education, if given a chance, have innovative thoughts that can be harnessed and produce great products. But in Tanzania, there are no institutions that support innovative young people. If you look at primary school students today, they don’t dedicate time to innovation. Much of their time is spent on existing innovations, like smartphones. That means they can’t even solve minute technical challenges at home. How does a young prospective entrepreneur or innovator get involved with AISE? We don’t have any limitations for innovators to join AISE. We pick from all genders and ages, from 12 years, as long they are passionate about creating innovations and open to learning from other innovators. Since inception in 2011, how many startup innovators have passed through AISE? We have had over 150 innovators at AISE. We have had students from various schools in Arusha, who come to make innovative products to solve their day-to-day challenges. AISE also trains adults in various sectors in the society. And outside of AISE’s headquarters in Arusha, we have trained many groups of people on innovation through organizations like Land O’Lakes International Development program. How many local innovations have been created to date? We have around five innovations from five youths working in our workshop. The next step is trying to build market interest in their innovations for possible commercialization. What advice would you give to aspiring entrepreneurs and innovators? If we innovators can be daring, we can create great products like our Chinese counterparts. We are brilliant. If we can copy Western musical and fashion styles, why can’t we, with the same vigor, copy innovations but change them so they solve our day-to-day challenges? What informed your decision to leave Global Cycle Solutions (GCS) to branch out on your own? I decided to leave GCS and found AISE because I wanted to have time to build products I had in mind. I know there are people out there who are bright, but they lack the time and place to turn their thoughts into products. I would have started AISE earlier if I had had the various tools to create products. What vital lessons did you learn when you worked as an electrician and bike mechanic? How did they help shape AISE? When I repaired bicycles and worked as an electrician, I didn’t give much thought to business beyond what I did. But that changed when I got an opportunity to travel to the U.S. for a summit on innovation, where I met other diverse innovators. That experience drew me to innovation. So when I came back to Tanzania, I decided to try my hand at it. The positive reception I received from my work motivated me to start AISE. I wanted to build interest in innovation and create jobs for young people in my country. I knew the time was ripe for AISE in 2011, as I got a lot of sponsorship from U.S. donors, who loved my ideas. Did this article help you? Share it. Subscribe and never miss another opportunity. Bernard Kiwia has been fascinated by design since primary school. 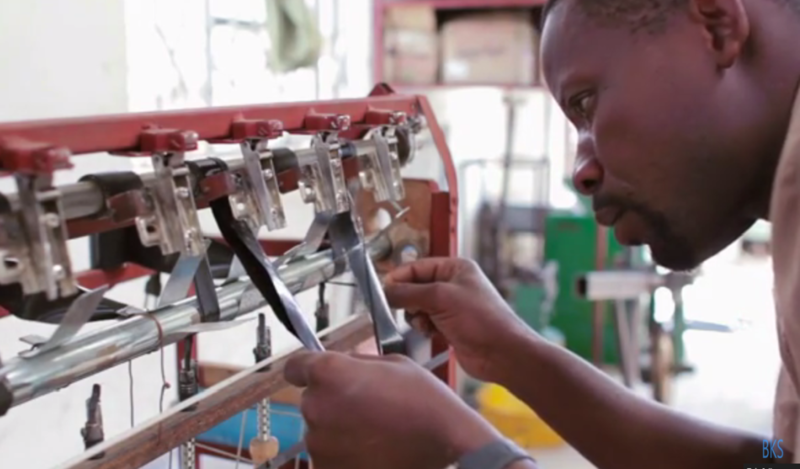 He now runs a community-based innovation center in Arusha, Tanzania. Photo by YouTube - Beekeeperstories.